Alexandria, VA (May 10, 2012) - Today the Alexandria Convention & Visitors Association presented the third annual Alexandria Tourism Marketing Summit in celebration of National Travel and Tourism Week. The new VisitAlexandriaVA.com was unveiled to attendees. The site design was strategically developed to motivate travel and increase visitor spending in Alexandria, with the latest technology delivering the tools travelers seek to both research and book a trip. The new site integrates reviews from TripAdvisor and Yelp, with social media feeds from Facebook and Twitter available for each business listing, plus online ticket sales for attractions, activities and tours joining booking engines for hotels and restaurants. The new website is founded on the latest traveler decision-making trends and website visitation research as it delivers Alexandria&apos;s brand theme of historic ambience and contemporary flair in a visually charming, elegant package. During the keynote presentation, Elizabeth McLaughlin, Vice President of Research for Virginia Tourism Corporation, discussed the current state of travel and the results of research conducted as recently as last month. She offered insight to attendees about what visitors want in a destination, what people plan to do this summer, and five quick ways to win a traveler&apos;s love and money. Alexandria City Mayor William D. Euille spoke about the role of tourism and visitor spending in realizing the City&apos;s community values - helping to pay for quality of life that residents enjoy. "In a single year, visitors to Alexandria spend more than $650 million and generate $22.4 million in City tax revenue - and that lowers our property tax rate by 7 cents," said the Mayor. 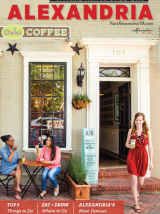 "In the past five years, visitor spending in Alexandria has increased nearly 17 percent. And this success has outpaced our neighbors by far. The average rate of increase for Virginia was just seven percent." The Mayor was pleased to announce that City Council unanimously passed the fiscal year 2013 budget which includes an increase of $100,000 for ACVA&apos;s travel advertising, which has shown a return on investment of $4 in City tax revenue for every $1 spent. Stephanie Pace Brown, President & CEO of the Alexandria Convention & Visitors Association, presented "A Million Reasons Why Tourism Works for Alexandria", highlighting successes of the ACVA team including marketing efforts generating unprecedented website traffic to VisitAlexandriaVA.com and a million dollar month of booked meetings and conferences business. ACVA&apos;s annual Tourism Marketing Summit is held each year in honor of National Travel and Tourism Week to educate the businesses and organizations of the tourism community on topics that can propel their success. Breakout sessions cover topics like press relations, social media, advertising strategies, and more. This year&apos;s breakout sessions and speakers included: "User Reviews: Make them Work for You" with Brian Payea, Head of Industry Relations for TripAdvisor; "Amplify Your Message with Social Media" with Ben Isenberg, President of Isenberg Group; "Impress the Press: Working with Journalists" with panelists Sarah Zlotnick, Associate Fashion Editor of The Washingtonian magazine, Missy Frederick, Restaurants, Retail, Arts & Tourism Reporter for The Washington Business Journal, Paul Raphel, FOX-5 TV Segment Producer for "Holly Morris Live", and Maurisa Turner Potts, Founder & CEO of Spotted MP (Marketing + Public Relations); and "Selling Alexandria as a Meetings Destination" with Karen M. Gonzales, CMP, Senior Vice President, Membership & Operations of Destination Marketing Association International. The Alexandria Convention & Visitors Association (ACVA) is a private nonprofit membership organization whose mission is to generate tourism and conventions that increase revenues and promote the City of Alexandria, Virginia, and its assets.